Move beyond sustainability to regenerative solutions for people and planet. Join us! want to join the growing movement dedicated to making that happen. Working together we can solve interrelated challenges in order to create systemic change. Food Agriculture &amp; Soil - regenerative farming can increase living soil, family health, and reverse climate change. designed to help build a #regenerative system that works for all the people and the planet >> regenecon.net. 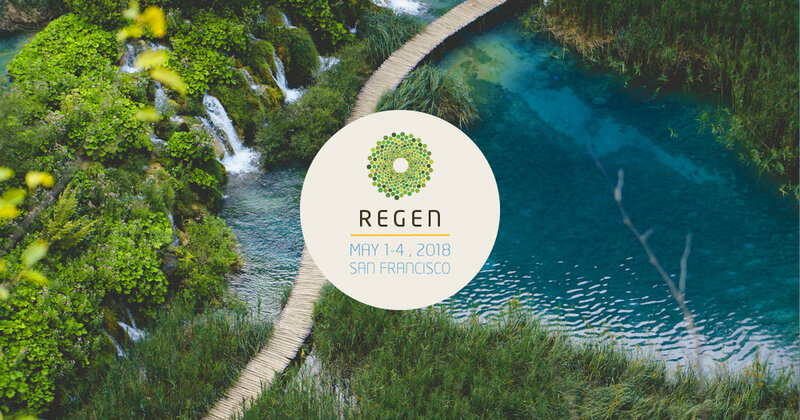 Use Code R30_LiftEconomy to save 30% off already discounted tickets when you buy yours for #ReGen18. Early bird discounts expire 4/20/2018.